What About Swimming Pool Tiles Types? 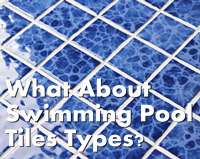 Do you know about swimming pool tile types? 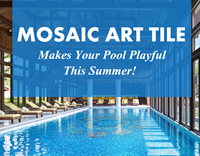 Take a look at some popular swimming pool mosaic tiles used in pools, and find the best one fitting your taste. Mosaic art tiles are great choice to renovate your swimming pool new-looking and playful, revealing your personality. Mosaic murals can be customized what you like, it offers infinite designs for any projects. The year 2017 has passed by unconsciously. March in spring is a good time to look back and make a yearly summary-meditating on error while looking forward to another fruitful year. 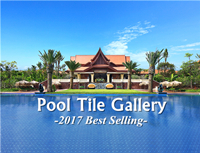 Based on annual statistics, BluwhaleTile here collects some best-selling of mosaic pool tiles in the last year for your purchasing plan or private pool construction. That is to some degree reflecting the market. Hope you can get inspirations. Guess you may get bored at the changeless blue pool tile. Why not try to use another color? Green can be a good choice, since it looks very close to the blue and there are many coastlines and lakes on the earth appear as the same color, which as you known are so beautiful. In this article, BluwhaleTile is going to show you some gorgeous yet distinctive green pool tiles for your pool construction or remodeling project. You are certain to be astonished of the visual effect when installed inside your pool. It is the end of the winter and spring is coming on its way now. Guess you had closed your swimming pool in a valid manner before weather was getting cold. Now it is turn to reopen and prep it up for a new cheerful summer swimming time. Then you might find there occur some intractable problems: equipments cannot work efficiently; pool water is leaking; pool tiles cracked and fell off. 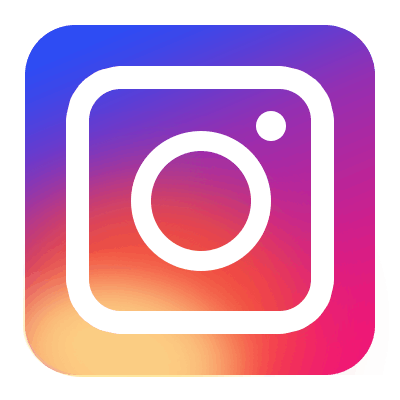 Especially, pool tile replacement needs considerate planning as you might want to give a brand new look to your swimming pool, which is not limited to resurface with classic pool tiles. 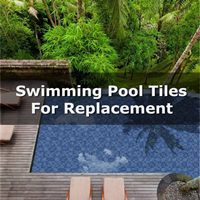 So in this article, BluwhaleTile is going to show you some replacement pool tiles that are stylish and innovative.